It’s no coincidence that movies like “Wall Street” and “Wolf of Wall Street” paint the finance industry as testosterone laden, especially on the trading floor of the New York Stock Exchange. While the U.S. financial services industry employs many women, according to a recent survey conducted by Catalyst, representation in financial services senior leadership roles remains low. Women made up only 35.9 percent of CEOs and executive level positions of Fortune 500 companies. 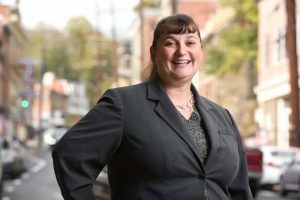 While Michelle Coates, Vice President and Treasury Sales Officer at Howard Bank, believes the industry hasn’t entirely evolved, it’s moving towards offering women more leadership roles. “I think it’s a great time to be female. We’ve put the world on notice and if they say no, and we ask why, they better have a good reason for it,” she says. The industry, she says, loses a lot of female talent because they are forced to leave their careers to support their families as caretakers, but that can be changed by offering more flexibility. 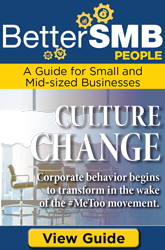 A 2016 report issued by Marsh & McLennan Companies, notes that many women face a mid-career pivotal moment in which “the costs of a career, especially the sacrifices in their personal lives, seem too great in relation to the uncertain benefits of pressing on.” Women, the report notes, face a less attractive career trade-off and insufficient flexible working options can mean a negative stigma for using them. Flexibility is what allowed Jennifer Estrada, Senior Manager of Auditing for Gorfine, Schiller & Gardyn, P.A. to move up the ranks at her firm. Auditors typically work grueling hours, especially during busy seasons, but Estrada is able to work a flexible schedule, picking her kids up from school, and working from home the remainder of the day. “It’s hard to raise a family while working in the public accounting world, especially because of the hours. But because my firm allows me to work a flexible schedule, I meet my hours and have grown in my career,” Estrada said. She does realize that this perk is a rarity in the industry and she is extremely grateful. But, she does think if more companies offered this flexibility, it could close the gap of women in leadership roles. Early on in her career, Estrada proved her commitment to her employers, which helped her negotiate her current arrangement. She also has a supportive spouse, so she is able to put in additional hours during their busiest seasons. 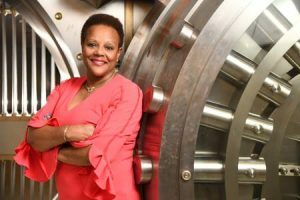 Coates has been in banking for more than 35 years, starting as a bank teller and working her way up to her current role in treasury management. In her experience, women were encouraged to pursue advancement in the operational side of banking as administrative support staff, while men were encouraged to become lenders to generate money – which often meant bigger salaries and bonuses. Yet, with the coaching and support of a male mentor, Coates pursued roles on the commercial side – first taking a step backward in an administrative support role. This move, however, led to other opportunities, which ultimately aided Coates in creating her own niche in treasury management. Like Estrada, she realizes she had a rare opportunity in her field, and her career trajectory began because a male colleague saw her potential. She believes that by recognizing diversity in hiring, the industry can close the gender gap in senior roles. “So much of hiring is what you are comfortable with – you hire who is on the golf course with you – and women aren’t necessarily there. Yet, there are plenty of women who may fit a job role better. Diversity in hiring is such a big deal – yet always seems to be the elephant in the room,” Coates said. The Marsh & McClennan report suggests that “the likely explanation for female underrepresentation in financial services is unconscious bias in favor of the masculine gender-style.” The attributes valued in financial services, are those stereotypically associated with men, according to the report. But more institutions are realizing that female representation is important – especially for its customers. “Banking isn’t just about money. It’s about relationships – so if you don’t have someone who looks like me and understands my language, you could be the bank that loses out on those relationships,” says Coates.